SUPER SHARP & CLEAN!!! LOW MILES!! LIFETIME PROTECTION! 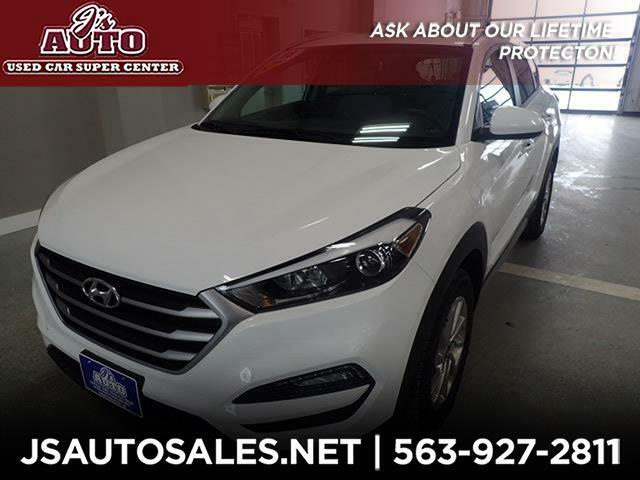 Don't miss out on this STUNNING SUV, with our SUPER SHARP & CLEAN, 2018 Hyundai Tuscon AWD. Only 17,386 miles, NEWER TIRES- A VALUE ALL ON THEIR OWN!- back-up camera, power driver's seat, and more. And when you regularly service with us, you'll even get the added value and security of our LIFETIME protection plan. An all around very nice, BANG FOR YOUR BUCK SUV! Call or email our trusted, locally owned & operated dealership, here at J's Auto TODAY!